While athletes, bodybuilders and fitness fanatics can't afford to ignore proteins, the same emotions do not echo for fish oil. Without a doubt, protein and its basic constituents, amino acids help repair and resynthesize new and strong muscle fibers along with preventing degradation of muscle tissue. 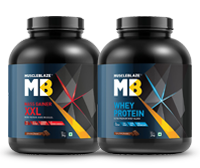 However, in this whole process of muscle building stands fish oil, omega-3 fatty acids, a good source of fats and it helps improve anabolic effects of exercise. Omega-3 is an essential fatty acid comprising of eicosapentaenoic acid (EPA) and docosahexaenoic acid (DHA), long chain fatty acids with equally long names and lasting health effects. In not-so-fitness-inclined adults, omega-3 helps promote a healthy heart and lowers blood pressure. Along with improving heart health, fish oil supplementation benefits in fitness newbies and pros include lean muscle gains, limber joints, reduced workout inflammation and fat loss. Intrigued? Find out for yourself. In order to understand how increased insulin sensitivity will help you build muscle, you need to endure a bit of biology lesson. Insulin is a protein that pancreas produces and releases when you eat foods, proteins, carbs or both. Unlike other proteins, insulin functions like a growth or anabolic hormone. From pancreas, insulin travels to muscle cells. Muscle cells are lined with insulin receptors and once insulin docks in these receptors it signals the muscle cells to open up to absorb the extra glucose idling in the blood to synthesize muscles and improved insulin sensitivity helps muscle cells respond quickly to the insulin trigger. Bodybuilding is all about lifting heavy and it's the joints that bear the brunt. Ask a bodybuilder about achy joints and you are likely to be handed a list of those that he has nursed in his years of weight lifting. Researchers headed by a scientist from Ohio State University (Columbus) have discovered that heavy loading, causes breakdown of cartilage. Fish oil benefits athletes too, as their training regimen affects their joints. For flexible and limber joints, you need fish oil. Evidence: Several scientific studies go on to prove that EPA and DHA decrease inflammation and arrest progression of osteoarthritis. In a study group of 293 adults without clinical osteoarthritis, some with and without knee pain, higher intake of omega-3 fatty acids helped decrease the risk of bone marrow lesions. Together with strength training, fish oil supplementation seems to benefit muscle strength and size. Research studies have found that fish oil significantly improves muscle activation and functional capacity. Moderate exercise enhances immunity, lowers mortality but athletes and body builders over train themselves. 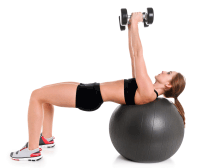 Prolonged and intense exercise generates free radicals that can damage cells. Omega-3 fatty acid in fish oil can help modify blood antioxidant status after exercise and therefore protect exercise-induced induced free radical damage. 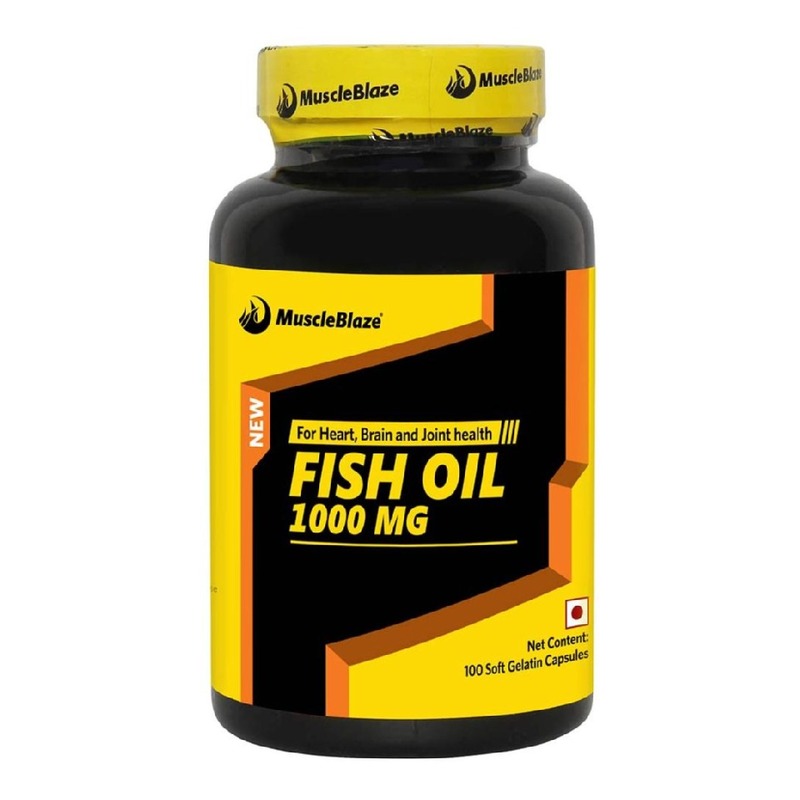 For muscle building aspirants, building muscle is as important as losing body fat to get those defined abs and here fish oil supplementation can help. Fish oil decreases cortisol, a stress hormone linked to fat gain and this casts positive effect on fat loss. Evidence: In a study published in International Journal of Obesity on 324 young overweight men it was found that the inclusion of either fatty fish or fish oil as part of an energy-restricted diet resulted in 1 kg more weight loss after 4 weeks, than did a similar diet without seafood or supplement of marine origin. Additionally, fish oil supplementation lowers blood pressure, benefits cardiovascular function and delays the onset of muscle soreness after a strenuous workout. Include MuscleBlaze Fish Oil in your supplement stock to maximize benefits from your workouts and protein shakes.